Courtroom or business document visualizer (Elmo) rental, with 2500 lumen projector & 7' screen. A document visualizer (sometimes refered to as an Elmo) rental is great for courtrooms or business presentations where hard copy documents or small objects need to be displayed in color on a monitor or using a projector. 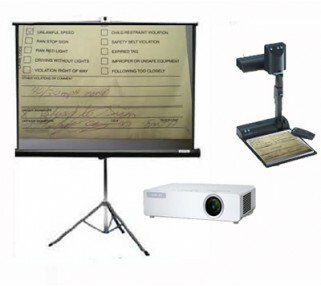 This projector with document camera package includes a bright 2500 LCD projector, a large 7' screen for audiences of 100 to 150 people, and cabling between the visualizer and the projector. Pick up your rental on Friday, return it Monday and only pay for one day! We're extremely proud of our reputation for professionalism and customer service. Contact Avista for a quick quote. For inquiries, please call us at 888-462-8478. Thank you for visiting our website! Our team at Avista has worked long and hard to understand what's important to you, our customer, which is distilled into our 4 Value Principles: 1) Being transparent with our pricing, 2) Being prompt and friendly in all our communications with you, 3) Delivering the right AV solution for your event at the best price, and 4) Exceeding your expectations with the high caliber of our crew and gear. 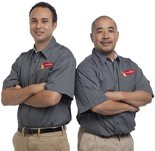 We're very proud that these principals have driven strong growth since our founding in 2005, to where we are now one of the premier providers of AV rentals and AV production services on the West Coast. Customers have the choice of picking up and returning AV gear to any of our offices, or having our team of highly skilled audio and video technicians deliver and run the AV aspects of your meeting or event. Avista provides audio visual rentals and event production support throughout the Western U.S., and for certain customers provides its services nationally. This website and its content is copyright of Avista Audio Video Equipment Rentals, LLC - © Avista Audio Video Equipment Rentals, LLC 2019. All rights reserved. Web Design and Development by Unleaded Group.